India, on Friday, has formally signed the $ 5.2 billion deal with Russia for buying the high-tech S-400 missile defence system, especially when the threat of US sanctions looms large over the deal. India, on Friday, has formally signed the $ 5.2 billion deal with Russia for buying the high-tech S-400 missile defence system, especially when the threat of US sanctions looms large over the deal. The defence system is strategically important for India as border conflicts are common with neighbours Pakistan and China. But it is not sure whether Washington would take it lightly as the deal could potentially expose India to US sanctions under the legislation, Countering America's Adversaries Through Sanctions Act (CAATSA). 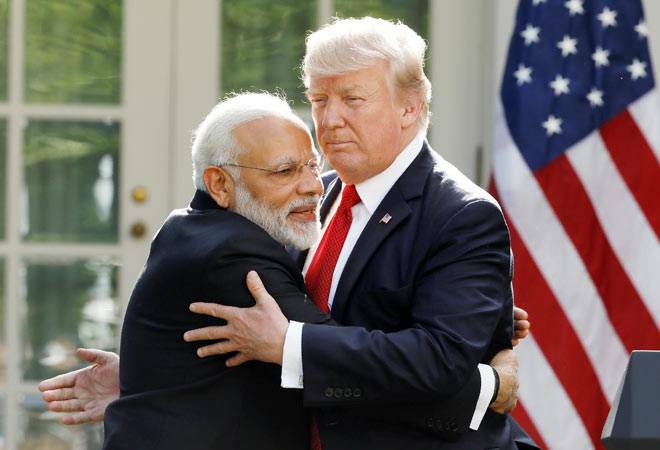 Indo-US relation has been looking fine for the last few years since when Prime Minister Narendra Modi developed a personal equation with the former US President Barak Obama. The arrival of Donald Trump had changed the relationship between the largest and the oldest democratic countries. Trump's campaign of America First didn't go well down to the American multinational companies, who were investing heavily in the emerging markets like India and China, besides it hurt the interests of Indian IT services companies working in the US, like TCS, Infosys and Wipro. The Indian IT giants had started recruiting Americans in their companies, cutting down the low-cost Indian workforce. The Trump administration, in September, announced a new rule proposing to deny Green Cards - lawful permanent residency, a step away from citizenship - to immigrants who legally use state aid to get by, for prescription drugs, housing, food stamps and a number of other reasons. Department of Homeland secretary Kirstjen Nielsen said in a statement, "Under long-standing federal law, those seeking to immigrate to the United States must show they can support themselves financially." The rule doesn't impact those who have already received their Green Cards. But over three lakh people from India, mostly IT professionals and their family members are in the queue for their Green cards. Another big faceoff between India and the US hasn't yet unravelled so far is in the trade front. Earlier this year, Trump announced a 10 per cent tariff on imported steel and aluminium from India. In response, India announced its plan to slap retaliatory tariffs for walnuts, almonds, boric acid, apples, diagnostic reagents and some hot-rolled coil products imported from the U.S. But the Modi government has preferred to defer the retaliatory tariffs for avoiding the aggressive posturing of India against the US. India's purchase of crude oil from Iran is another contentious issue with the US. The US sanctions on Iran's energy industry will come into effect on November 5 and that could potentially spike the petrol, diesel and LPG prices in India. The Indian oil refiners buy Iranian crude at $3-5 a barrel discount to the other crude grades in the Middle East. At its peak, about 20 per cent of the country's crude requirement was served from Iran. Because of the threat of US sanction, it came down to 14 per cent last year. The $5 increase in landed cost of crude will translate into Rs 2 change in petrol and diesel prices in India, especially when the fuel costs sky rockets and the central government waivers the taxes to pacify the public anger. The latest information is that Indian companies placed order for Iranian crude in November. News agency PTI quoted top industry sources saying Indian Oil and Mangalore Refinery have contracted 1.25 million tonne of Iranian oil for import in November, the month when the sanctions kick-in. India is expected to pay in rupee for its purchases, replacing the dollar. The Trump administration had imposed sanctions against China last month for its purchases of Russian military equipment, including the S-400, under CAATSA legislation that designed to punish Moscow. On the eve of Putin's arrival in Delhi, the US State Department urged all allies and partners to forgo transactions with Russia that would trigger sanctions. Replying to the questions on the threat of US sanctions, Indian Defence Minister Nirmala Sitharaman said "India has maintained its sovereignty as regards to its relationship with countries. We shall maintain it in all earnestness." News agencies reported that the US is up in arms against the S-400 is the missile defence system's reported ability to take down American stealth fighter jets including the F-35. Whereas China is emerging as a rival power, India has been considered as an important strategic ally by the US and it supported India in its fight against Pakistan's cross border terrorist activates. India following China and Turkey in buying S-400 will definitely irk America. Even if don't come up as sanctions, it will reflect in the economic deals of India and the US. India stock market is seeing frantic exit of foreign investors, who are largely based out of the US. Depreciation of rupee against dollar is the primary reason for the exit. On October 5, Foreign Institutional Investors (FIIs) sold Rs 8,200 crore in equities, when the BSE Sensex fell around 800 points. Another issue is that the fund raising from the US financial market has become an expensive affair for Indian companies because of the high rates and restrained resources. Because of trade restrictions, the export of Indian companies to the US is likely fall. In the first eight months of this year, India exported $36.45 billion worth goods to the US.